Patrick Fitzgerald is best known for his outstanding and brilliant work in Kitchens Of Distinction, however he is also a licensed and well-respected physician. Fitzgerald studied medicine in London and became a doctor in 2007, and his medical interest is hospice/palliative care. He recently co-wrote a self-help book titled Making Peace With The End Of Life with Sarah Rayner. The book's aim is to help lessen the pain and anxiety of end of life issues and to and improve experiences for those facing their final days/weeks/months. 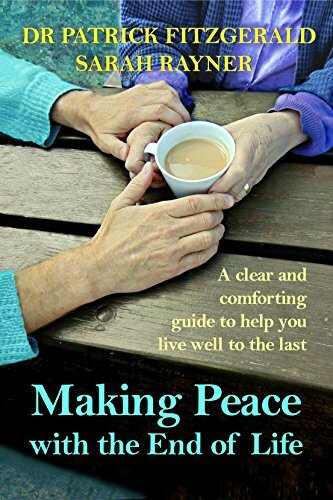 This weekend Fitzgerald is giving away Kindle copies of Making Peace With The End Of Life -- just head over to Amazon to obtain your free copy. The book was also recently published as a paperback, and it is available to purchase on Amazon.